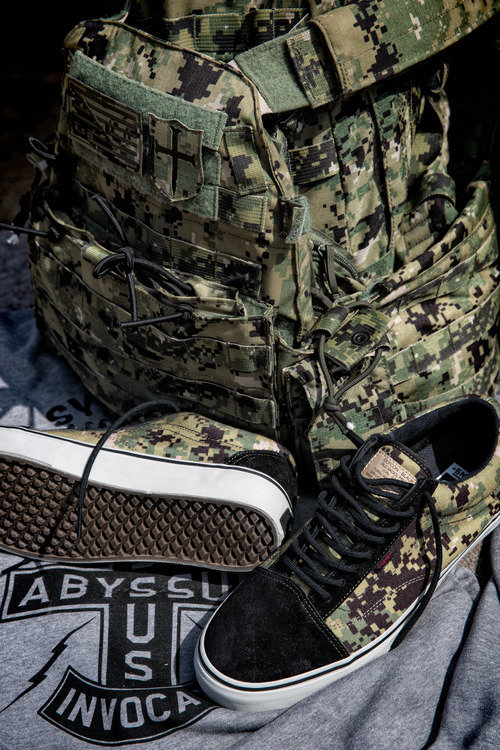 DEFCON and Vans Syndicate present a special collection inspired by Naval Special Warfare digital camouflage. 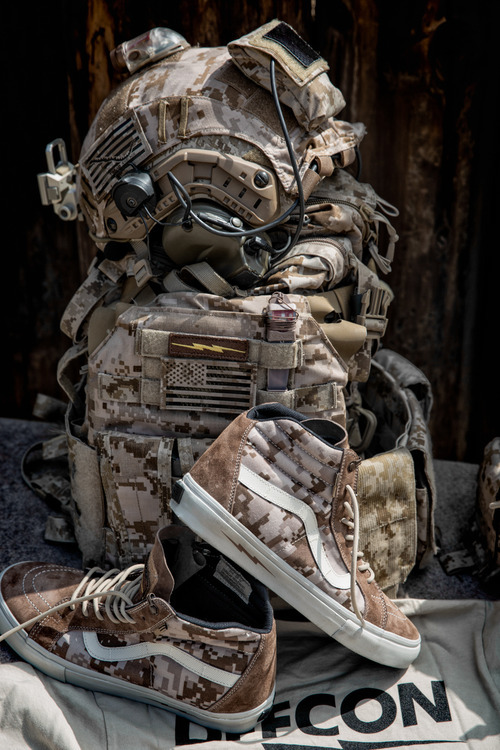 Vans Syndicate and the covert DEFCON team have crafted a new collection for this season, presenting special digital camouflage colorways of the Old Skool and Sk8-Hi Notchback. Both models are inspired by Naval Special Warfare AOR1 and AOR2 camo, each originally developed for DEVGRU (also known as SEAL Team 6) during the early years of the War on Terror. Both Vans Syndicate models use visually similar versions of AOR1 and AOR2. The DEFCON x Vans Syndicate Old Skool S features AOR2 camo ballistic mesh, coupled with fire-proof Warrior suede and moisture wicking Dri-Lex lining. The Sk8-Hi Notchback takes a similar approach using AOR1 camo, adding a gusseted tongue and a boot-style top eyelet for good measure. Both colorways feature DEFCON branding throughout, with the Sk8-Hi utilizing a clever velcro tag (and an extra lightning bolt on the midsole). The DEFCON x Vans Syndicate "Digital Camo" Pack drops this month at Syndicate accounts.